Home » Events and Blogs » Blog » Is it time for a digital detox? 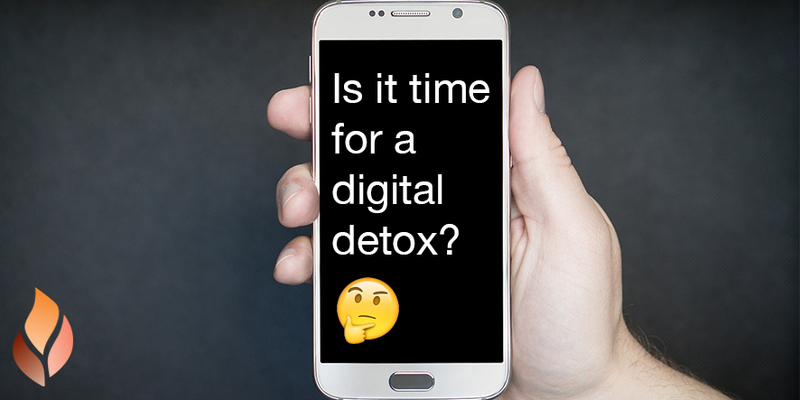 Having a ‘digital detox’ is a huge wellness trend right now – but is logging out actually worth it? With over 1 billion users, it’s safe to say that Facebook has become an intrinsic part of our our daily lives. Whether you spend your time watching those (extremely addictive) food videos, furiously messaging your group chat or catching up on the day’s news, it’s probably rare that you take a little time off Facebook… and actually consider if all those memes and mobile uploads do anything for you. And a new study published in Cyberpsychology, Behaviour and Social Networking looked into the effects of taking some time out from the social network, and if doing so can actually make you happier. The research, helmed by Danish scholar Morten Tromholt, tracked 1095 people, who were divided into two groups. The results, you ask? The group who refrained from logging in were happier than those who did. But, before you delete all your friends and the cyber memories you’ve created over the last 10 years or so, it’s important to note that the group who abstained from logging in, were just slightly happier (0.37 on a scale of 1 to 10, according to The Science of Us) than those who didn’t. The researchers concluded that this difference was probably due to a ‘placebo effect’, and that people who were willing to sign up for a study about quitting Facebook would say that, which makes a lot of sense when you think about it. Still, for those people who find themselves attached to the site at all hours of the day, it is comforting to know that happiness would still exist without cute pictures of tiny cats on your daily feed.